Thickening time tests are designed to determine the length of time a cement slurry remains in a pumpable, fluid state under simulated wellbore conditions of temperature and pressure. The test slurry is evaluated in a pressurized consistometer, which measures the consistency of the test slurry contained in a stationary cup while under simulated well bore conditions. This portable, rotating paddle design gives laboratories greater placement flexibility. The consistency of the fluid is measured in Bearden units (Bc). 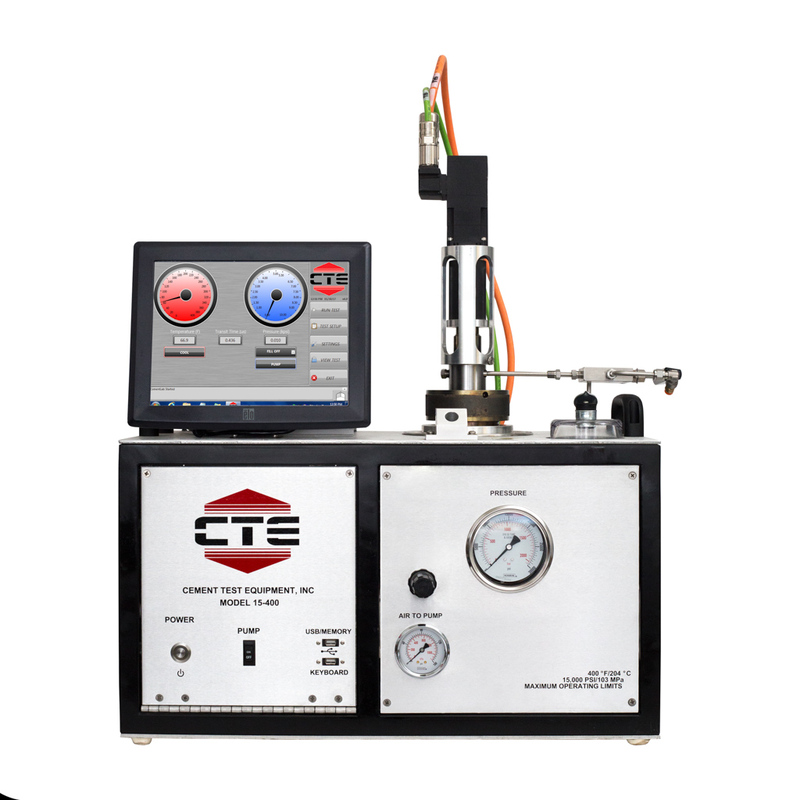 The CTE model 15-400 is capable of exposing cement slurries to a maximum of 400F and 15,000 psi (204C and 103MPa) for simulating high-temperature, high-pressure applications. This instrument is also capable of measuring the formation of static gel strength at any time during or after a thickening time test or as a gel test performed by itself. The ability to measure gel strength after a period of simulated pumping more accurately reflects the conditions experienced in cementing operations and improves upon current testing methodologies.